The budgetary squeeze of the 1990s has made it obvious that the government cannot address every possible environmental problem. Comparative risk assessment (CRA) is increasingly advanced as the means for setting realistic priorities. RFF's Center for Risk Management commissioned background papers from leading experts on CRA for a meeting with federal regulatory officials. 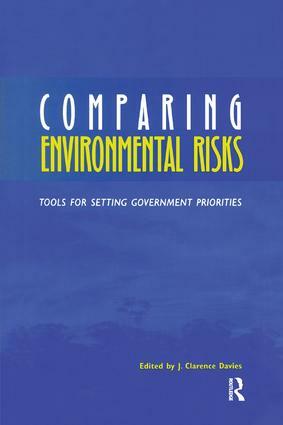 Comparing Environmental Risks presents the revised papers of this workshop. Representing the state of the art on programmatic CRA, its methodological analyses and practical recommendations will be invaluable to government officials, independent analysts, and anyone studying environmental policy.